I still remember when Mark & Jenny Rohrich were living in vastly different parts of the US and now they are married and building a home. 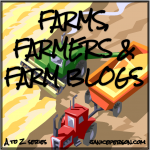 Jenny blogs her viewpoint at Prairie Californian and they have a family operation called Rohrich Farms in Ashley & Zeeland, North Dakota. They grow wheat, corn, soybeans, and sunflowers — you may remember Mark showed me around their farm and taught me about sunflowers! Our farm is unique in that we have the opportunity to utilize and grow a vast variety of crops in our rotation. 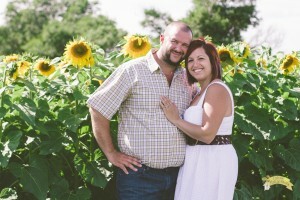 As many farms are unable to do this, we enjoy the fact that we can grow wheat and sunflowers on our farm. Wheat works in our crop rotation because it is a short season grass that does well after a full season crop like sunflowers. Putting wheat in our rotation also allows us to change our mode of herbicide action so we aren’t putting the same herbicides on the field time and time again. But even outside of agricultural reasons, wheat has been a crop that has been grown on our farm for three generations. It is one of the only crops we continue to grow today that was grown on the farm when it started. Wheat is also one of the original crops to the area. In fact for many years, Eureka, South Dakota (30 miles to the south of us) was known as the “wheat capital of the world”. It still says it on the sign when you drive into down even though the town no longer holds that title. Wheat has been a stable and consistent crop both on our farm as well as across North Dakota and we are so proud to continue this tradition on to the next generation. We plant sunflowers on the farm because it is a good warm season broadleaf that utilizes the leftover nitrogen in the soil from the previous corn crop. The flowers are planted in between the previous year’s corn rows. We are fortunate in our area to be able to plant sunflower as many places around us in the state are too wet or have a problem with black birds. Sunflowers are one of our favorite crops to grow simply because they are beautiful! If you’ve never seen a field of sunflowers in full bloom, take a trip to North Dakota. It will truly take your breath away. Being that I didn’t grow up on a farm, when I married my husband, I gained far more than just a husband. I became part of a farm that is truly a family operation. And one day, I will become part of a legacy as we raise the next generation on the farm. The best thing about farming for me is more than just words on a page. It’s a feeling. I feel it every single time I stand next to my husband in a field, on the land that his family has farmed for nearly seven decades, and I look out on the crops we grew together, as a family. It’s in those moments that I know it was by our own hands that this life we live is possible and how truly lucky we are to be living this life. 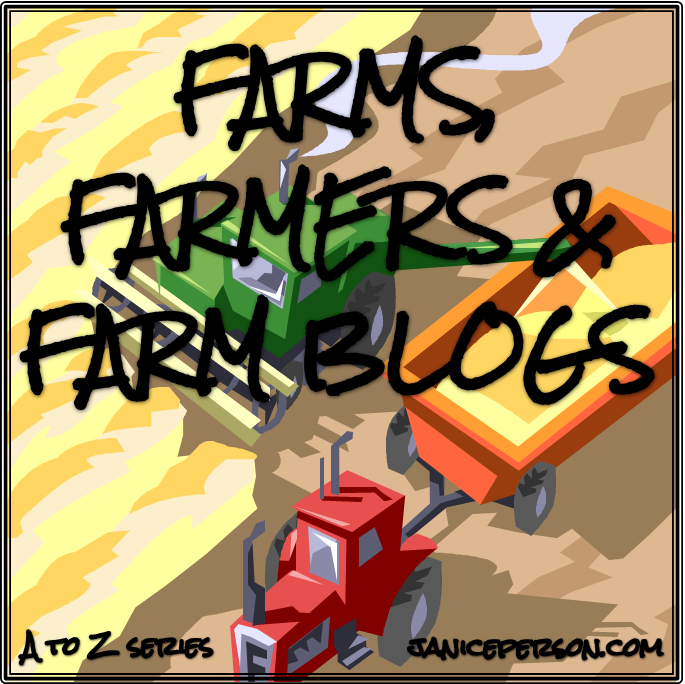 Enjoying the A to Z Challenge on various Farms, Farmers and Farm Blogs. I love that there are so many different crops popping up!